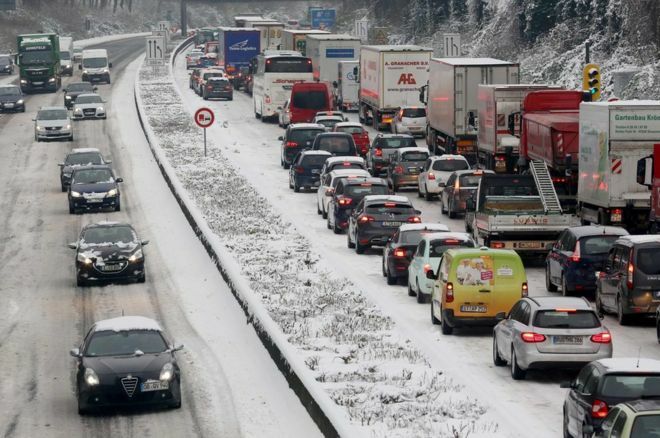 About 400 flights were cancelled at Schiphol – one of Europe’s biggest airports – and about 200 in Brussels. 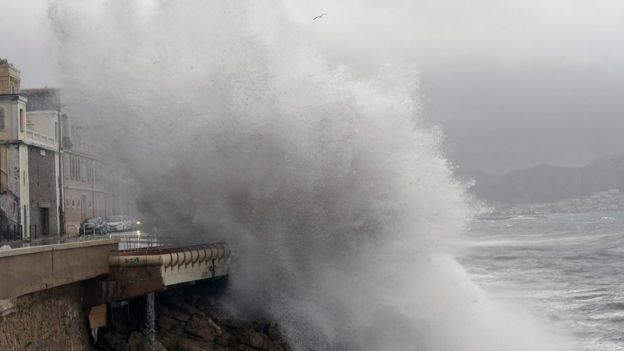 In France 32 regions were put on an emergency “orange alert” footing, as a storm nicknamed “Ana” battered the Atlantic coast, with winds gusting as high as 150km/h (93mph). Later the alert was reduced to eight regions in the north and far south. 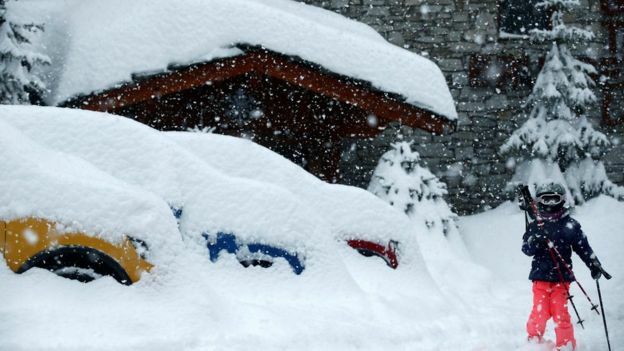 The snow caused the closure of schools in Liguria, Piedmont and Tuscany, Italy’s La Stampa daily reported. 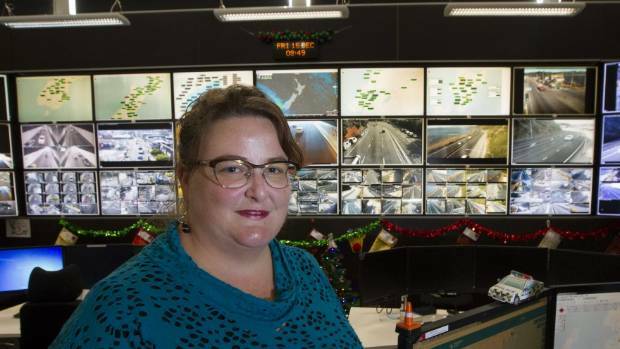 Such is the nature of Roxanne Hilliard’s job, as manager of the operations centre that aims to keep traffic moving as smoothly as possible during any number of incidents and disruptions. Based in the Wellington suburb of Johnsonville, the New Zealand Transport Agency’s Wellington Transport Operations Centre (WTOC) manages traffic flow in 12 urban centres from New Plymouth to Dunedin. 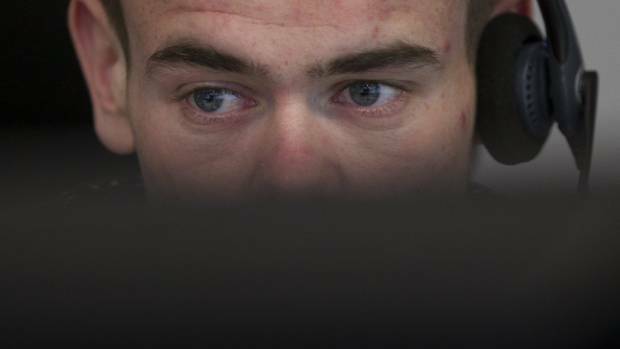 A Wellington Transport Operations Centre staff member monitors the traffic situation from the organisation’s Johnsonville office. 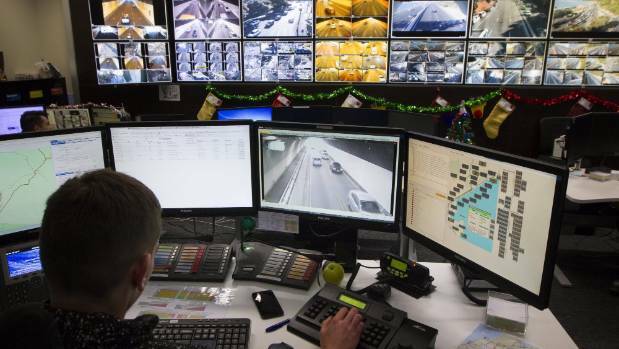 It does so using 300 highway cameras, countless intersection cameras supplied by organisations such as police and local councils, and radio communication from police and emergency services. It is a complex business, with an algorithm determining how often traffic signals should change, depending on traffic flow. The centre can deal with anything from wandering rural stock to vehicle crashes and fires. Crashes are a common source of traffic disruption, and this is when the team, which works round the clock, has to kick into action. The centre also has other tools at its disposal, such as electronic road signs (variable messaging systems) and social media sites to inform people of delays and alternative routes. 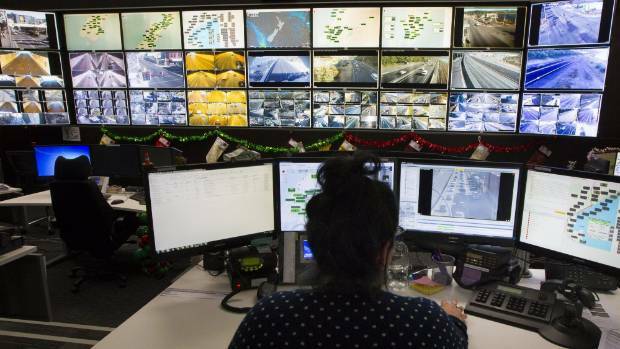 The centre monitors and manages traffic from Taupo to the bottom of the South Island. The control room has almost 30 screens set up for traffic monitoring, including rotating live traffic cameras and weather forecasts. It has dedicated staff looking after the South Island, Wellington’s Victoria, Terrace and Arras tunnels, and the police desk, as well as a specialist social media communicator. It also manages traffic signals for major events, such as the University of Otago graduation ceremonies that took place in Dunedin last week. Last month’s train strike across the Wellington region put extra stresses on the Johnsonville team. Each day is a challenge, but none have more been more challenging than last November’s double-whammy of the 7.8-magnitude Kaikōura earthquake, followed by floods the next day. In November, a 24-hour rail industry strike gave the team a fresh challenge, as the average 32,000 weekday passenger journeys were cancelled and people looked for other ways to commute. Centre manager Roxanne Hilliard says every day is challenging, but everyone is passionate about helping make drivers’ journeys as efficient as possible. 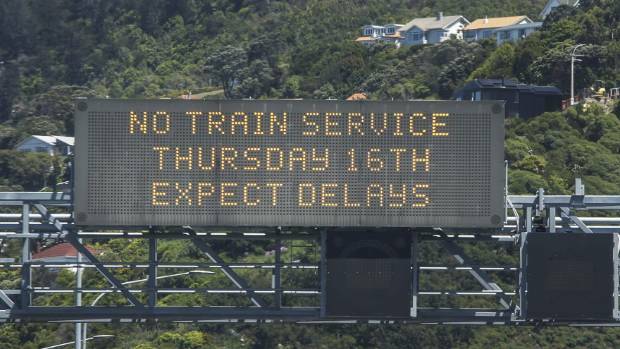 Despite the team’s efforts, the increased traffic volumes resulted in 35-minute morning peak delays into the city on State Highway 2, and 15-minute delays using SH1. There was an 11 per cent increase in westbound traffic during the morning peak on SH58 from Hutt Valley towards Porirua, and a 9 per cent increase on the afternoon return journey. “Every day’s a different day, and every day’s a hard day,” Hilliard said. “We can be dealing with things like wandering stock in rural areas … then you can be dealing with a truck fire, or a breakdown. “But we have a really lovely culture here, so we live and die by our culture. “You’ve got to be able to invest yourself, and everyone here is really invested in what they’re doing. The NZ Transport Agency had suggested it would make a decision by the middle of this month, but now says more work will be needed to choose between the four options. The region’s mayors have welcomed the delay but the news is a blow to Dannevirke bus operator Derek Rose. “They’re [NZTA] bloody hopeless, but this delay doesn’t surprise me,” he said. “This is a pretty sad day for us guys. It’s getting to the point now as to how we can make our business work. There’s a huge cost involved in running over the Saddle Rd, but the NZTA couldn’t care less about us. 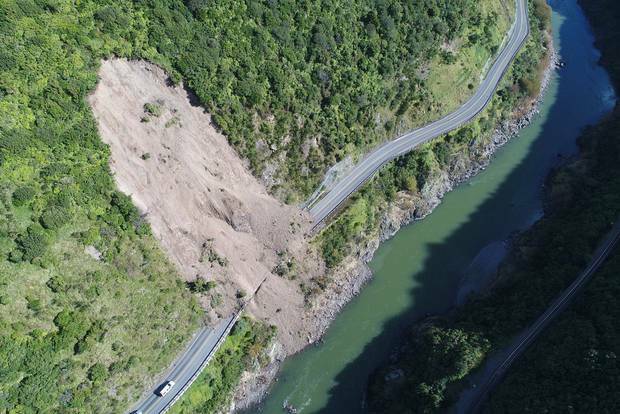 The highway through the gorge, a vital link for more than 200,000 people who live in Hawkes Bay and Wairarapa, has been closed since a number of slips in April. Ross I’Anson, NZTA’s regional transport system manager, said good progress has been made on assessing the four short-listed options, but more discussions are needed before it can make a decision on the best option with confidence. I’Anson said the NZTA also wants a solution as early as possible, and the latest delay was not expected to delay the overall project. Tararua District mayor Tracey Collis said the chosen options would need significant investment, so it had to be done properly. “It’s about making the right, long-term, resilent decision and we are going to hold NZTA to account when it comes to the construction timeframe. We don’t want any more delays,” she said. Tararua deputy mayor Alan Benbow, a member of the business case group assessing the options, believes the decision delay is welcome news. Benbow said he believes when the NZTA got the weight of opinion from regional leaders last Friday, it had to reconsider its decision. And neither Benbow nor Collis believe the delay has anything to do with the Labour Government wanting NZTA to come up with a cheaper option. • A $300m-$400m upgrade of Saddle Rd to state highway standard. • A $350m-$400m road north of the Saddle. • A $350m-$450 new road south of the Saddle. 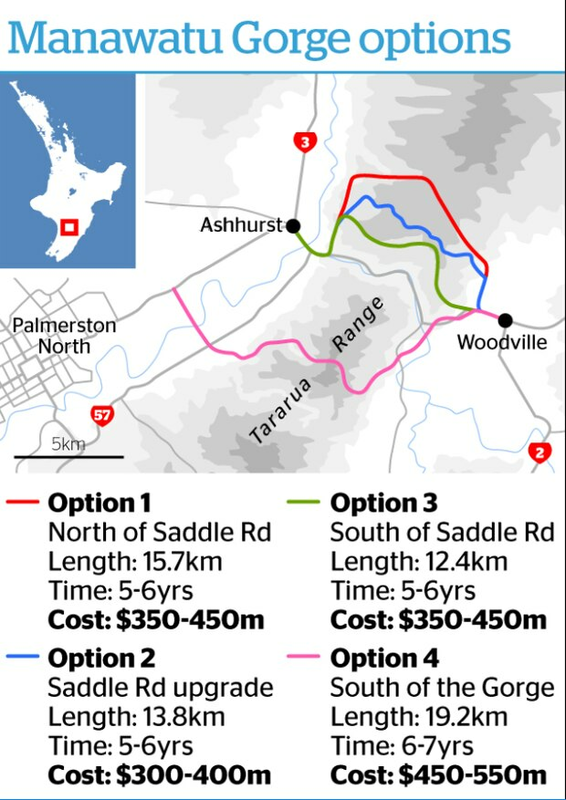 • A $450m-$550m route south of the Manawatu Gorge, which the region’s mayors prefer. Option 4 would build a second bridge over the Manawatu River, connecting with the regional ring road in the Manawatu. All options would take between five and seven years. • In his report, The Achilles Heel of State Highway 3, Corporate Logistics’ Gincarlo Hannan raises questions about the time taken to explore a permanent solution. • The Manawatu Gorge has been closed for more than 550 days since 2004. • Corporate Logistics has calculated the daily loss to the region’s economy to be $100,000, equating to more than $55 million in the last 13 years. • One of the main contributors to the unstable rockface along the east-west corridor was road widening and straightening between 1920 and 1940, and 1960 and 1980, Gincarlo Hannan says. • The 14-month closure of the gorge in 2011 cost $20 million to fix, plus $10m for upgrades and maintenance on alternative routes. On Saturday morning, the Rangiriri Paa site was unveiled by Waikato-Tainui and New Zealand Transport Agency. The paa site coincided with the Rangiriri section of the Waikato Expressway being officially completed. Take the Rangiriri turn-off in north Waikato and you will see the new symbolic Rangiriri Paa site. The paa site was significant in the battle of Rangiriri during the Waikato Land Wars of 1863, where around 500 Maaori defended the paa as it was attacked by a British force of more than 1400 men. It is a crucial event for Waikato-Tainui and occurred after Te Wherowhero agreed to become the first Maaori King in 1857. The move was seen by the colonial government as a threat to the British monarchy. 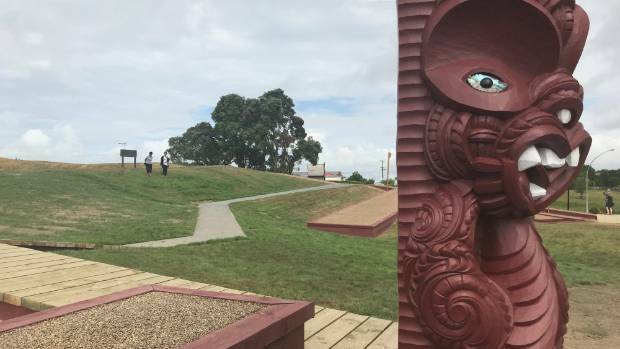 A pou whenua was unveiled on Saturday that represents the 1863 battle, highlighting the imprisonment of Maaori warriors following the battle, the role women and youth played during the battle and the 1995-2010 Raupatu settlements. The paa project was part of the opening on Saturday morning of the Rangiriri section of the Waikato Expressway. The paa project is a result of a partnership between the New Zealand Transport Agency and Waikato-Tainui. The 4.8-kilometre expressway section guides traffic west of the paa site and is part of seven roading projects across the district costing $2.2 billion. Kiingi Tuheitia, Minister for Crown/Maaori Relations and Tourism Kelvin Davis, NZTA chief executive Fergus Gammie and Waikato District Council Mayor Allan Sanson were in attendance. 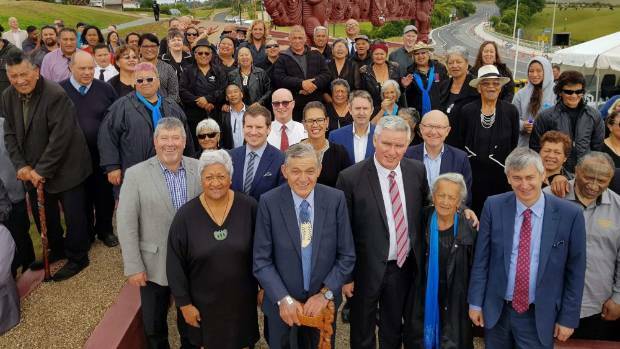 “We believe we’ve built a new way of working together,” Waikato-Tainui tribal executive Te Arataura chair Rukumoana Schaafhausen​ said. Waikato-Tainui negotiator for outstanding claims Rahui Papa ​said the paa looked “absolutely fantastic”. He said talks with NZTA and Waikato-Tainui on the project began four years ago and said the sites around the Waikato would be good for tourism. “When people come out of our airport, they don’t turn left into Auckland, they turn right into the Waikato. Papa added it was important the country’s stories, such as the battle at Rangiriri, are taught under the school curriculum. The concept of “smart,” which has become ubiquitous in our daily digital life, has also started sailing along in the shipping industry. At the just-concluded Marintec China 2017 exhibition in Shanghai, the first Chinese-made “smart ship,” named Great Intelligence, debuted to show the nation’s world-first achievement in this area. It is dubbed the world’s first smart ship, a name coined by its developer China State Shipbuilding Corp, as it is the first ship awarded the “cyber-safe,” “cyber-perform” and “cyber-maintain” smart-vessel classifications by Lloyd’s Register. It has also been classified an “intelligent ship” by the China Classification Society. In the China Classification Society’s definition, smart ships are those able to capture data covering the ocean environment, logistics, ports and their own equipment in real-time, which helps them autonomously pick and adjust routes and manage and maintain equipment and cargo on board in real time. That helps ships sail safer and reduce energy consumption. 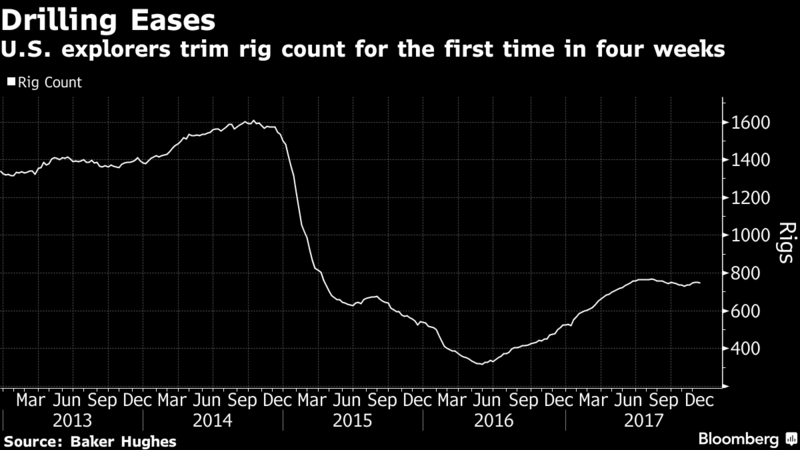 And that trend in shipbuilding is spreading worldwide. Alongside China, South Korea’s Hyundai Heavy Industries in July launched its Integrated Smart Ship Solution, a collection of information technology systems aiming to optimize navigation by collecting real-time data. Three ships built by another Korean shipyard, Hanjin Heavy Industries and Construction Group, have been certified “cyber-safe” by Lloyd’s. Japan, meanwhile, has set smart ship development as the key task for its shipping industry for the coming five years. In December 2012, the nation started a research project on smart ship applications by bringing together 29 organizations and companies including its ship classification society, Nippon Kaiji Kyokai. In November 2015, Norwegian classification agency DNV GL started a project with Japanese shipping giant NYK group to collect and monitor maritime data. Since then, four of the group’s container ships have delivered data to DNV GL’s digital platform, which created a “digital twin” to simulate the ships’ operations and will help monitor and predict maintenance in real time. DNV GL announced at the Marintec China exhibition that it will launch a sector — specialized in digital shipping solutions next year. But smart ship development is still in its infancy worldwide, said Arthur Brunvoll, owner and chairman of Brunvoll, a Norwegian ship equipment builder. “There even aren’t unified rules on these ships, with only a few classification societies having released standards,” he said. The key to whether a ship is smart currently may be how many “smart” functions it has. The “cyber-safe” ships from Hanjin Heavy Industries and Construction Group, for example, cannot be considered smart ships, said Gu Yiqing, a chief designer of smart ships at the Shanghai Merchant Ship Design and Research Institute, as they don’t meet all conditions such as real-time maintenance. Lloyd’s Register and the China Classification Society are the only two societies which have released standards for smart ships so far. “(But) other nations and companies are surely accelerating design rules or developing smart ships,” said Fang Quan, vice president of the research institute. Although there is no specific research or data on the potential market size for smart ships, the concept will definitely boost the global shipping industry if it takes off, said Martin Stopford, president for research at Clarksons, the world’s largest ship broker. “While Uber has changed transport on land, boosting the frequency of taking taxies, connecting ships worldwide will significantly enhance global logistics and ensure shipping safety,” he said. “Connection,” as he mentioned, will become the next phase of smart ships. Ships with smart functions worldwide have remote control rooms behind them, which analyze their statistics and feed back whether to change routes or if equipment needs maintenance. The data collection is thanks to the development of the Internet and satellites, which help transmit and receive signals on machinery, ocean conditions and locations worldwide in real time. Although China has developed the world’s first smart ship, its remote control “back office” is limited by the fact it has only one ship to serve and receive data from, Fang said. “But it is open to all ships which are willing to connect and will be in charge of more smart ships in the future,” Fang said. Before ships as a whole become smart, advanced shipping equipment companies have already added “connection” to their suite of services to win leading positions in the market. Also during the Marintec China exhibition, Swedish-Swiss multinational ABB opened a remote control center in Shanghai named the Collaborative Operation Center, which is able to monitor its equipment onboard on time all over the world. Apart from its own equipment such as turbocharging systems, motors and propellers, ABB has also been working with other equipment makers to extend digital services. The company had eight such centers across the world before opening the Shanghai Center, connecting more than 700 ships. By 2020, it expects to monitor equipment in 3,000 ships around the globe. “Smart equipment is the basis for smart ships,” said a shipping engineer at a classification society who asked not to be named. A single smart ship is just a start to show a nation’s progress in smart shipping, Fang said. Helped by digital technologies, the ship will avoid accidents caused by manual operations — “which account for over 80 percent of the total globally” — and will save energy and costs, as shipowners will be alerted to maintenance requirements in time instead of regularly overhauling and maintaining equipment. A new agency opened in Fiji hopes to cut down the greenhouse gases being pumped out by the thousands of ships criss-crossing the Pacific. The Pacific Community said old ships are a big contributer to the region’s greenhouse gas emissions. The new agency, called the Maritime Cooperation Centre, hopes to kick off a transition to low-carbon shipping. The SPC’s Thierry Nervale said it will be part of a global network, and will work to create greater awareness and make greener technology available to companies in the region however it has got its work cut out for it. “The main issue is to access new technologies and to ensure new technologies are available for domestic fleets in the Pacific which is one of the main issues,” he said. A declaration launched today at the “One Planet” climate summit hosted by French president Emmanuel Macron has urged the shipping industry to meet the Paris climate goals. The “Tony de Brum” declaration – named after the celebrated Marshallese politicianwho died earlier this year – calls for shipping to take “urgent action” to contribute to meeting the 2C and 1.5C goals of the Paris accord. The declaration was released at the summit in the French capital, which marks two years since the Paris Agreement on climate change was adopted in the city. It was signed by 35 countries, including the UK, France, Denmark, Germany, Canada, the Marshall Islands, Chile and New Zealand. Shipping produces at least 2% of global CO2 emissions, but the International Maritime Organisation, the London-based UN agency responsible for regulating shipping, has struggled to set its own emissions reduction target. Other key news from the summit included an announcement from the World Bank that it will largely stop financing oil and gas exploration after 2019. In addition, Macron described Donald Trump’s announcement in July that he intends withdraw the US from the Paris accord as “extremely aggressive”. The new shipping declaration comes amid a current push within the IMO to at last develop a decarbonisation strategy, something it has long been under pressure to do. Last month at the COP23 climate summit in Bonn, Germany, Carbon Brief spoke to Edmund Hughes, the IMO’s head of air pollution and energy efficiency, about the development of the organisation’s new climate strategy. In the wide-ranging interview, Hughes also addressed how shipping can hope to align itself with the 1.5C goal of the Paris Agreement when the IMO is facing accusations of “corporate capture”. The IMO has struggled to make progress on tackling its emissions since it was first mandated by the international MARPOL convention to clean up the sector in 1997. The IMO’s last greenhouse gas study, published in 2014, showed that emissions are likely to grow significantly as global demand for trade continues to rise. International shipping was not included in the final text of the Paris Agreement, but Hughes tells Carbon Brief the IMO and its member states recognise that it has to make efforts to contribute to the Paris goals. The IMO has promised to lay out its “initial” climate strategy in April 2018, with a final revised version set to come out in 2023. Earlier this year, delegations from around the world met at the IMO headquarters in London and agreed a seven-point plan for a draft of the strategy. Seven-point draft strategy for reducing greenhouse gases agreed by the Marine Environment Protection Committee (MEPC) in July. A set of seven strategic directions for 2018-2023, adopted earlier this week by the IMO Assembly, also included one on developing solutions to minimise shipping’s contribution to climate change. “We’re a regulator…so we develop mandatory rules that ships have to comply with, and we’ve done that for technical and operational aspects of shipping. The strategy that’s being developed now…is really looking at what further measures can be undertaken. Hughes said there is a suite of measures being considered, including both mandatory measures (see below) and voluntary measures, such as the need for more research and development on innovative technologies, and low-carbon alternative fuels. “The negotiation is looking at the various options that could be used to provide a target…If we have, for example – and thinking hypothetically – a vision that says ‘we need to remove, reduce all CO2 emissions from international shipping within this century’, or ‘by the end of the century’ or ‘in the second half of the century’, or whatever words you want to use…well, then you need to have an ambition that matches that target. That ambition then has to set goals and objectives, or, as has been referred to me, aspirational objectives. Today’s Tony de Brum declaration reiterates a commitment to the Paris Agreement’s goal of both holding global temperature rise to “well below” 2C and “pursuing efforts” to limit warming since the pre-industrial era to 1.5C. Its signatories “confirm that international shipping, like all other sectors of human activity, must take urgent action in consideration of these vital objectives”. “We work by consensus in the IMO and we seek agreement across with all governments, because that helps us move forward, particularly with this initial stage of the strategy, it’s important that everyone feels that we’re starting on the right place. In October, the NGO InfluenceMap published a report accusing the shipping industry of aggressively lobbying the IMO to obstruct climate change action for shipping. This lobbying has ensured shipping remains the only sector in the world not currently subject to any emission reduction measures, InfluenceMap said. 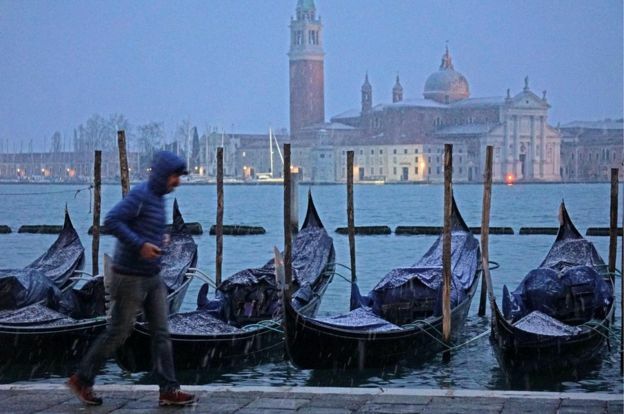 The report singled out three industry trade associations – International Chamber of Shipping (ICS), the Baltic and International Maritime Council (BIMCO) and the World Shipping Council – as having collectively lobbied to delay implementation of any climate regulations. All three trade bodies have denied they are obstructing climate action. WSC says it has offered concrete proposals for both short- and long-term carbon reduction and co-sponsored a proposal to reduce CO2 emissions, although this did not include binding sector-wide greenhouse gas emissions reduction targets. Similarly, ICS’s director of policy and external relations, Simon Bennett, says the shipping industry, in fact, played a large part in persuading IMO member states to develop a strategy to reduce emissions following the adoption of the Paris Agreement. “Well, we have formally responded [to these claims]. We’ve made clear that the delegations is a matter for the governments who attends IMO… It’s not [the secretariat of IMO] who decides who attends. It’s up to the governments to decide. In contrast to the United Nations Framework Convention on Climate Change (UNFCCC), which recognises the principle of “common but differentiatedresponsibilities” (often referred to as “CBDR”) and capabilities depending on different national circumstances, the IMO has a non-discriminatory guiding principle. This talks about “no more favourable treatment”, with every ship treated the same. The IMO has implemented some carbon cutting measures in recent years, said Hughes. The mandatory Energy Efficiency Design Index (EEDI), for instance, currently requires new ships to be 10% more energy efficient than they were in the baseline 2000-2009 period. This will be pushed up to 20% in 2020 and 30% in 2025. However, this is just for new ships. With 40,000 to 45,000 ocean going ships currently in use and with 1,000-2,000 new ones built each year, it will take decades to change all those to newer, more energy efficient ships. “It is a problem, I’m not going to deny it, that is a challenge,” said Hughes. The IMO has also developed the Ship Energy Efficiency Management Plan (SEEMP) which aims to make the existing fleet more energy efficient in the way it operates, such as making sure the ship is set up correctly in the water, keeping the hull clean and using different operational practises, such as weather routing, says Hughes. An oil consumption monitoring programme is also set to be introduced next year. From 2019, ships over 5,000 tonnes will have to collect data on the fuel oil they consume and report on it through their flag state to the IMO. Data on things such as distance and time travelled will also be collected. The IMO also has several programmes geared at building technical cooperation and capacity building. But Hughes insisted the IMO recognises these measures can only go so far. “If we’re going to sort of go further we have to look at other measures, and that’s part of the discussion now,” he said. NZ First wants more ships going to Northport, Whangarei. Government ministers are considering the terms of reference for an official inquiry into moving the Ports of Auckland operations to Whangarei. NZ First campaigned on the idea and the feasibility study was a key part of its coalition agreement with Labour. The terms of reference are understood to involve a greater role for rail, ensuring New Zealand has better negotiating leverage with international shipping companies, and NZ First’s commitment to a structure that would stop direct competition between the New Zealand ports and instead encourage more co-operative model in which they all work in the country’s national interest. 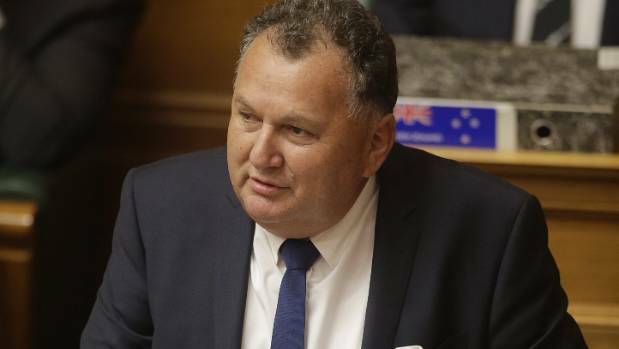 Shane Jones has sweeping powers under his regional economic development ministerial portfolio. No names have yet been discussed to chair the inquiry, so the terms of reference are unlikely to be finalised before Christmas. It is understood that several people have been appointed to be part of the inquiry board, and Ports of Auckland is lobbying to have its interests represented among the board’s members. 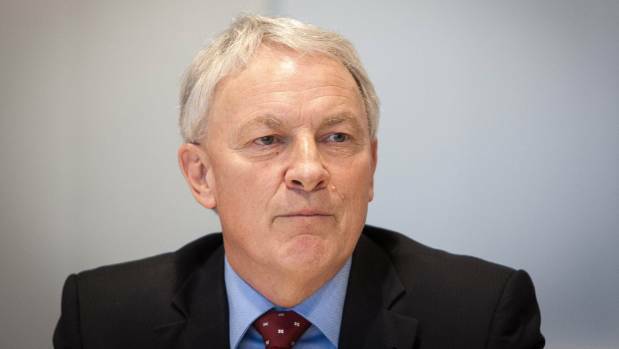 Auckland Mayor Phil Goff and Regional Economic Development Minister Shane Jones held a meeting about the inquiry on Friday morning. Auckland mayor Phil Goff’s council coffers receive around $50m from the Ports of Auckland every year. It comes six weeks after Goff wrote a letter demanding the inquiry consider national, regional and Auckland interests. Jones has been given oversight of KiwiRail, which gives him power over decisions about the railway line that would serve the Whangarei port. The port is worth about $50 million a year to the Auckland Council, and although Goff has said it will have to move from the Auckland CBD eventually, he would like to see it remain within greater Auckland. The council wants to disestablish Auckland Council Investment (ACIL), the council-controlled organisation that manages its major investments.That would give it more hands-on control of the Ports of Auckland board. ACIL manages $2.3 billion of assets but operates with a skeleton staff. Jones said: “I accept there is a measure of scepticism around yet another review about our ports. What I want to emphasise is it will not be a Clayton’s review. It has to be fair to the stakeholders of Port of Tauranga, Ports of Auckland and Northport. Jones said he would ensure KiwiRail was involved in discussions about the port move. He said Treasury was still undertaking an analysis of the role KiwiRail would play in the transport network, alongside rail corridor owner the NZ Railways Corporation. Goff would not get into detail about the meeting with Jones. “We talked about the broad terms of reference for the study into the Upper North Island Ports and Supply Chain Strategy.” Goff said. Goff said he’d spoken to Jones about it before and, on Friday, they discussed his letter. “It makes sense that the decision we make about the Ports of Auckland meets the needs of the city, the region and the country,” Goff said, adding that it also had to make economic, environmental and social sense. “I expressed my expectation that whatever happens in the future with the port needs to have a strong business case behind it and be evidence driven. We need to be looking at how the ports – Northport, Auckland and Tauranga – could best work together and what the infrastructure requirements are,” Goff said. Goff also noted that any decision about the future of the port was an important financial investment decision for the people of Auckland. 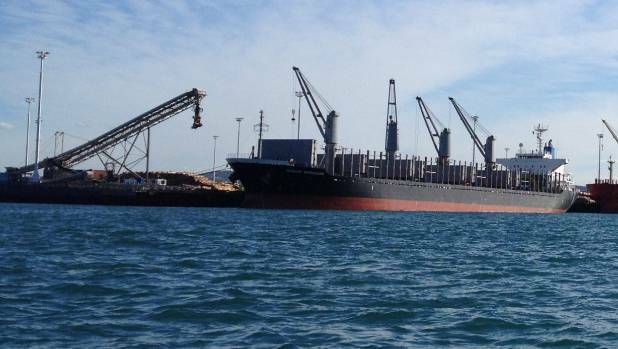 Northport and Ports of Auckland refused to comment. Northport is already working through its own expansion plans.